Summary RAID is a Hindi language crime drama in which a tax officer raids the mansion of the most powerful man in Lucknow. 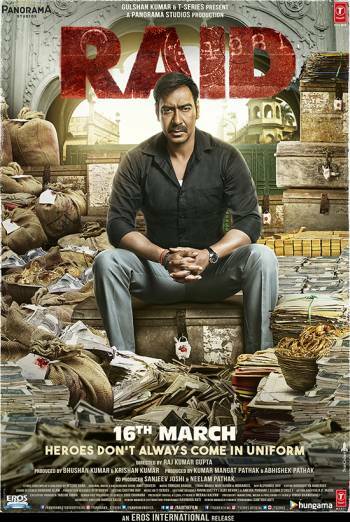 RAID is a Hindi language drama in which a tax officer raids the mansion of the most powerful man in Lucknow. Moderate threat includes a woman pursued in a car by two men who use metal rods to attack her vehicle for a length of time, smashing the windows and crashing the car, resulting in an injury to her forehead. There are scenes in which men wrestle each other and hit one another with wooden rods. There are also some scenes of rioting and, in one instance, a man threatens to pour kerosene onto another and set him ablaze. There are further scenes of cars being set alight and windows smashed.